Darton Sleeves, A Division of Darton International, Inc.
Darton International was incorporated in 1978 with a goal of becoming a premier manufacturer of automotive speed equipment parts. In pursuit of this objective lead the founders to establish manufacturing relationships with unique European factories specializing in products and techniques which would harmonize with Darton’s potential customers. Darton initially selected two groups of products to concentrate on: steelstampings (such as valve covers) and precision CYLINDER SLEEVES. One of the company’s first customers for both groups of products was Milodon Engineering. Together, they pioneered new and innovative ways to manufacture their product, performance cylinder sleeves. Darton became the first supplier of high quality centrifugally cast ductile iron cylinder sleeves to meet SAE and ASTM rigid quality control standards. In 1990, Darton became part of an international company based in Portugal. Pachancho, a 100 year-old manufacturing firm, located in picturesque northern Portugal, leads a group of manufacturing firms specializing in automotive products such as piston rings, CYLINDER SLEEVES, iron castings and specialty aluminum castings. The Darton affiliate company is world renowned and is a major supplier to the automotive industry in Europe. All of Darton’s cylinder sleeve material is produced in our Portugal foundry, which is recognized worldwide for excellence in all forms of unique types of centrifugally cast ductile and grey iron. 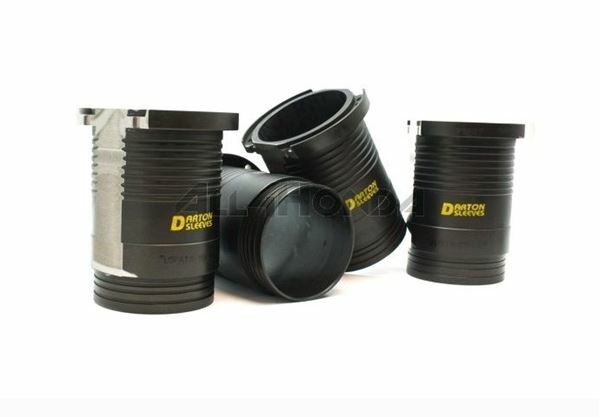 Still today the focus of Darton International’s business is the manufacture and delivery of cylinder sleeves, sometimes referred to as cylinder liners. Darton continues to advance in the performance racing industry market. Darton is also the prime sleeve supplier for the Ford SVO aluminum engine program. 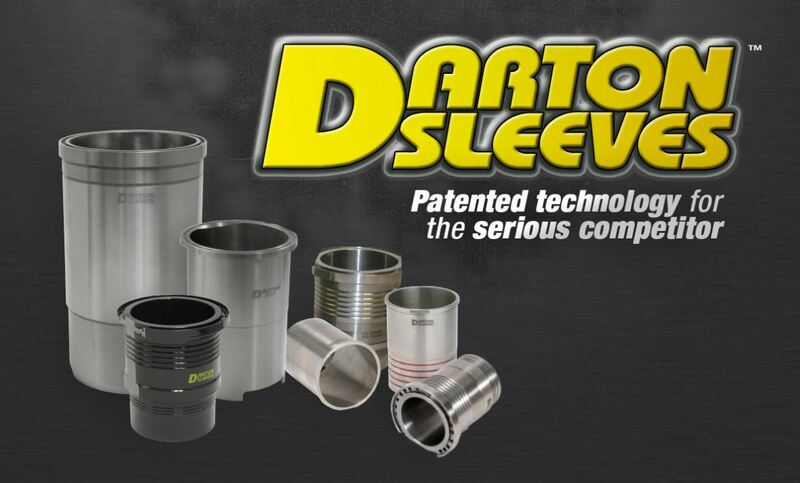 Darton employs a market strategy aimed at becoming the primary sleeve supplier of choice for small engine shops and OEM’s alike. 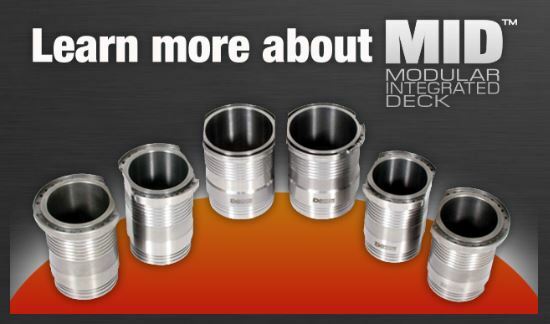 To accomplish this task, Darton continues its research and development and utilizes state-of-the-art manufacturing technology to continually market with new products such as our latest invention: “modular integrated deck” sleeve kits. 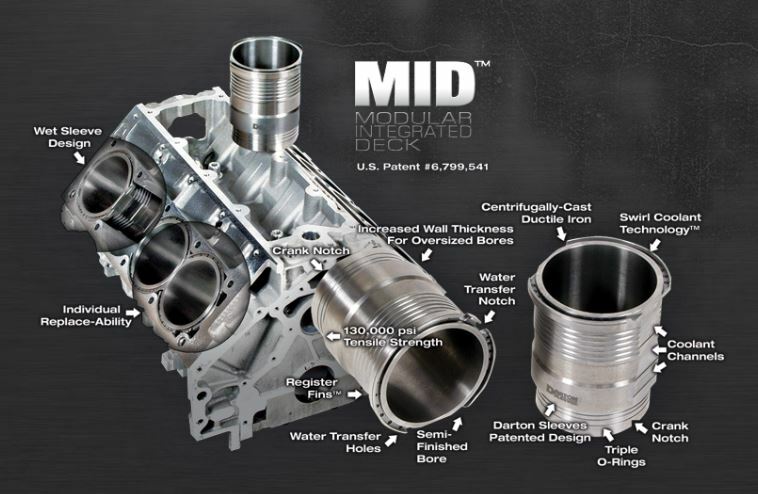 This experience, our racing heritage, and our highly experienced staff of machinists and racing engine builders offered a unique set of blended talent to solve inherent block weakness design in the currently available engines where bore sizes were intended to be increased. Many production cast iron and aluminum blocks suffer from a design weakness of cylinder stability by nature of poor support at the upper deck area. The manufacturing process of “cast in sleeves” provides for economy of scale in low horsepower engines, but does not accommodate high horsepower, high boost, or larger bore sizes. Darton has engineered a superior patented (patent #6,799,541) solution by using a unique designed cylinder sleeve which when siamesed and nested, creates a solid deck of sleeve flanges held in tension, reinforcing the upper deck area and provides for individual replacement with what we call Modular Integrated Deck (MID). In addition, Darton designs’ manage and enhance water flow from block to head to promote stability of cooling and all sleeves are of the “Wet” design. The enhanced water flow in and around the flange area is possible because of ported water flow control engineering we call “Swirl Coolant Technology™”. This process begins with specific engineering models of respective cylinder head and combustion chamber designs and then we promote increased flow of water in those areas of the upper sleeve area subjected to the most heat. Heat is also dissipated through the use of ” Register Fins”™. There is a different engineering model for each engine and cylinder design. While heat is generally considered to translate into energy, high resident heat in the combustion chamber can lead to detonation, the single highest cause of engine failure in the high horsepower regimes. Even in wet sleeve designs of the past, water is never efficiently processed or flowed between the block and head to provide for maximum heat dissipation in the combustion chamber. Inherent in open or closed deck engine blocks of cast iron or aluminum is a certain amount of water stagnation. This is like pouring water through a funnel, there is really no flow or velocity until the water exits the spigot. In the case of blocks and heads, the casting ports are designed for ease of casting not efficient flow. Now with Darton’s “MID”, Swirl Coolant Technology the cooling medium is ported and directed to significantly improve heat transfer where it is needed most, in the upper cylinder wall/flange area. Click here to take a look at the Darton Sleeves product catalogue.